Why should you consider a plunge pool for your outdoor environment? 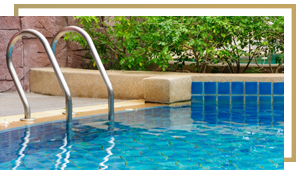 Plunge pools are smaller than normal pools and as such are shallow pools that use less water than conventional pools. Generally less expensive to build than conventional pools, also more economical to maintain and versatile due to the fact that they can fit into a smaller garden, patio and other limited outdoor space. Some clients like to situate their plunge pools in close proximity to outdoor hot tubs. In this way, they can engage in cold plunge therapy. Small cold water pools have been used for thousands of years in Chinese medicine and were also popular in ancient Roman times. Swimmers and athletes like to plunge into a cold pool of water after a heated workout or sauna or spa session, believing it has therapeutic benefits. We are IVY Studio, an aquatic design and build consulting firm based in Boston and we design and build all types of swimming pools and spas. Contact our design professionals at 781-591-0300 or vern@ivystudioaMA.com to learn about the benefits of cold water plunge pools and be refreshed!